How Can You Find the Best Attorney to Defend You Against Criminal Charges? If you’ve been charged with a crime, the absolute first thing you need to do is to secure a good attorney. You don’t want to have to rely on the overworked public defender to help your case, and you absolutely don’t want to let the police and the prosecutor have their way with you without proper representation. However, with all the lawyers listed in any given area, it can be tough to decide which one to go with. Luckily, there are a few tips you can follow to make sure that you’re picking the right attorney for your case. For every aspect of law, there’s a lawyer who’s specifically trained in that one area. 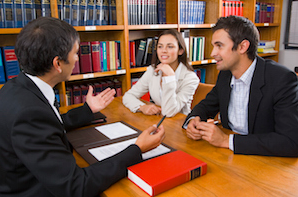 You need to make sure that you’re matching the right attorney with your specific situation. A patent law specialist isn’t going to do you much good in your situation; you need an expert with experience in criminal defense. The problem is there are some attorneys that claim to specialize in criminal defense that are not being truthful. Handling a criminal case from time to time is much different than being a full time practitioner. A so called criminal defense lawyer that has no trial experience may only seek to run you through the system. What do other persons with experience with the lawyer have to say? Does the lawyer have good reviews on AVVO with other clients? Do other attorneys that specialize in criminal defense law endorse or recommend the lawyer? It may be important to do your homework and research the lawyer that you may hire. With many major decisions you conduct research. Before buying a home you hire a home inspector to give you a full report if the house is a good investment. Before buying a car or an appliance, you may read Consumer’s Report or other publications that review the product you are purchasing. Should hiring a lawyer be any different? In court, as in sports, the best strategy is to “play to win,” instead of “play to not lose.” The best criminal defense attorney will have an aggressive strategy to fight for your rights and attack the case from every angle, instead of just going in hoping that the prosecutor will offer a reasonable plea bargain. The best criminal defense attorney will look at your case from all possible angles to see any flaws that exist in the prosecution. The best criminal defense attorney will look to mitigating factors, when appropriate, in order to seek the best possible outcome. The best attorneys have the knowledge and experience to get you the best possible outcome. This isn’t just about book smarts, either. A good attorney will know the district that you’re in and have an understanding of the prosecutors and judges that work there, in order to develop a powerful legal strategy. At the Law Offices of Hilf & Hilf, PLC, we are guided by our principles and our drive to fight for the rights of our clients. We utilize aggressive legal strategies that have been proven highly effective in defending our clients’ interests. Contact us today for a consultation and let us fight for you.